One controller or two, vertical or sideways, motion controls or buttons…Joy‑Con and Nintendo Switch™ give you total gameplay flexibility. Games come to life through easy-to-use motion controls and HD rumble—advanced vibration features built into each Joy‑Con. 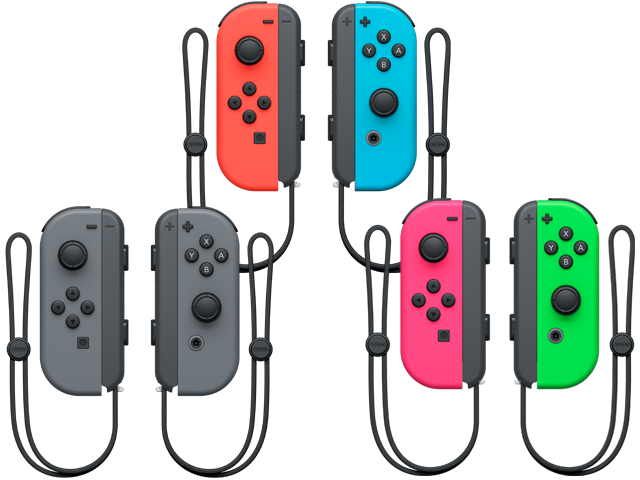 Depending on the game, you might use a single Joy‑Con in each hand—or even give the second one to a friend.